In 2018, the world stood in terror and watched as a giant comet flung from the heavens entered our atmosphere and slammed into the Earth. Impact point: Baghdad. Only, it wasn’t a comet. Upon impact, the alien craft erected a gigantic dome, concealing the invaders’ activities from all the world. It’s up to you to command waves of Earth forces in order to penetrate the alien defenses and confront the otherworldly intruders. 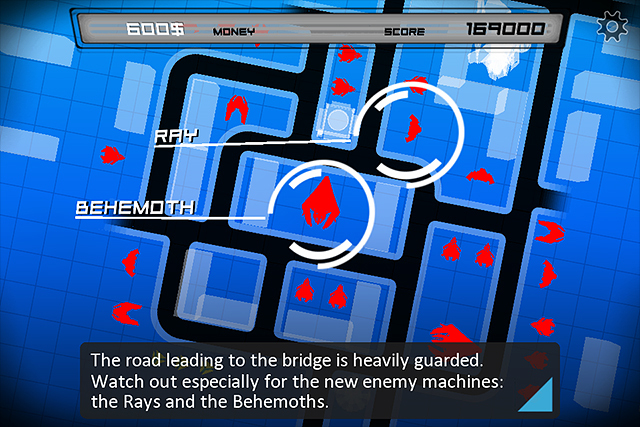 Anomaly Warzone Earth is tower defense, but in reverse. Your forces, consisting of both ground and air vehicles, must battle their way through harsh batteries of alien defenses to ensure that our planet doesn’t fall under alien control. 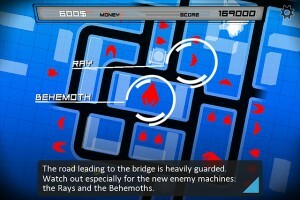 The game starts off by presenting a tactical planning screen where attack routes and equipment are chosen. From there, it’s off to the battlefield where the real action takes place, rendered out in striking graphical detail, with positional 3D audio adding depth to the firefight. 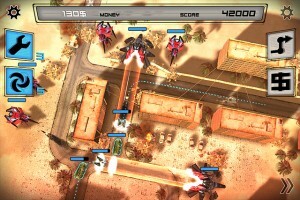 As your forces proceed through the Baghdad streets, a number of actions can be invoked, such as heal units, smoke screen, decoys, air attack, etc. And, at any time, your route can be altered back at the tactical map screen. During the EA event, the game was demonstrated to me on both the iPad and the iPhone and I found the visuals and overall sense of destruction and mayhem that the game delivers to be quite impressive. And, while the above trailer video is for the Mac and PC version of the game, the iOS visuals are not far behind. Anomaly Warzone Earth was an IMGA 2011 nominee for Most Innovative Game and is set to impact sometime next month.